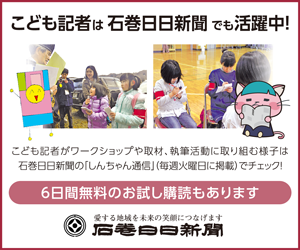 On August 3, 2013, the Forum ”Building the Future for children,” an event organized by the Ishinomaki City Education Committee, was held in the Monou Public Hall. 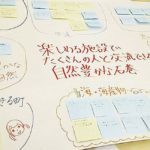 The theme was “Let’s Talk about Dreams,” and 34 elementary and junior high school student representatives from all over the city took part, with six members of Koujin Juku (see note) acting as facilitators. 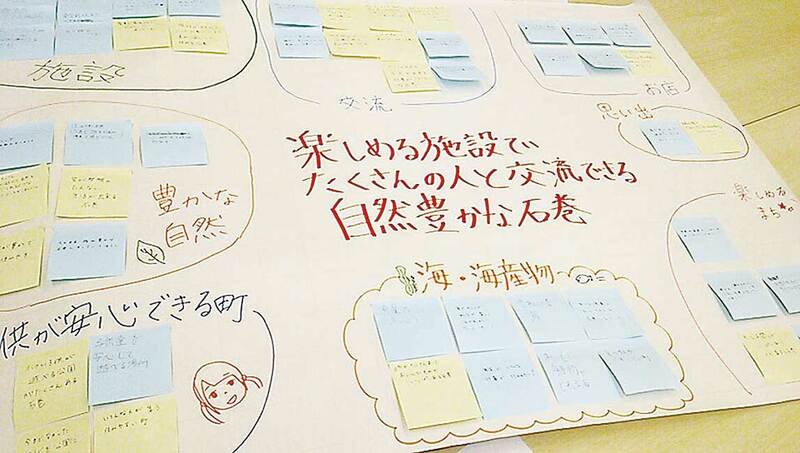 The participants envisioned the future Ishinomaki while discussing the dreams they would like to make reality. Note: Koujin Juku was established with the goal of cultural and educational development, and for the purpose of sending more and more Ishinomaki residents to contribute to the region and society by nurturing “human skills.” The head of Koujin Juku is Professor Tamio Kimura of Ishinomaki Senshu University. During the subsequent discussion session, three main opinions were expressed. The first was, “We want to make Ishinomaki an easy place to live”. An Ishinomaki with flourishing green spaces and a beautiful ocean, restored to the lively place it was before the earthquake, safe for old people and young children to live in. Ideas for making Ishinomaki an enjoyable place to live each day included completing the reconstruction of the school buildings damaged in the disaster as fast as possible, providing a place for school club activities and a large swimming pool, fully restoring the Senseki and Ishinomaki railway lines, developing facilities such as a shopping centre, and building a landmark similar to the Tokyo Skytree. 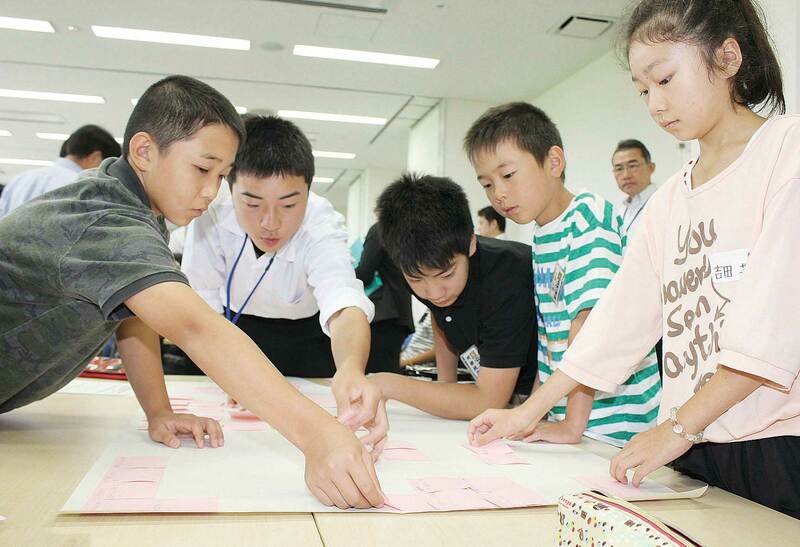 Remembering their bright, bustling town before the earthquake, the group of junior high school students put forward a host of ideas. The second opinion was “We want to make Ishinomaki the world’s greatest town”. Specifically, this meant a town where people are polite and say hello to one another, a clean, beautiful town with no litter, and a town with a proper appeal for its culture. Typically of elementary school students, their abundant ideas were brimming with imagination and creative thinking. The third opinion was, “We want people from overseas and other prefectures to know about the culture and history of Ishinomaki.” They wanted Ishinomaki to be a town which can engage with many different people, and wanted to be able to explain how the fishing and tourism industries, which temporarily faced the possibility of being abandoned after the disaster struck, have now recovered.